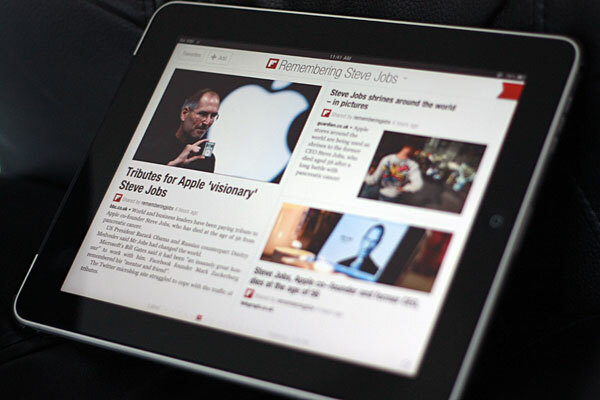 The world is still in shock after the passing of Apple Founder, Steve Jobs. 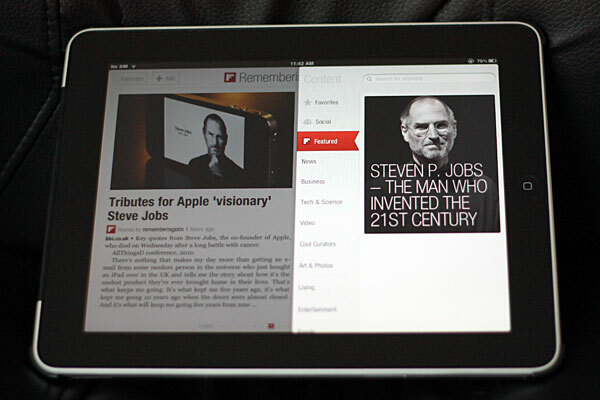 From stories celebrating his life and achievements to reactions from around the globe as it learned of his passing, it’s very likely you’ll be seeing memorials and tributes popping up across world to pay respect to the man who revolutionized technology. 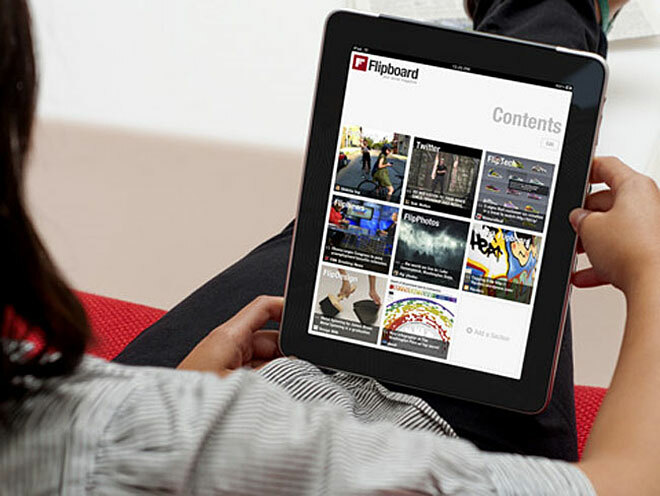 FlipBoard also instructs those on Twitter to contribute to the section by tweeting their thoughts, favorite articles, images and more, all hash tagged with “#rememberingjobs”. 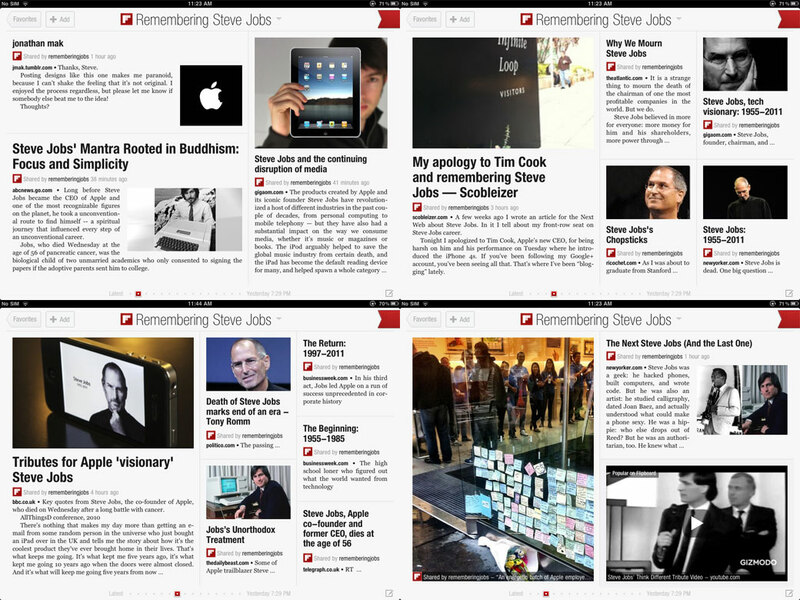 See below for a few screens of FlipBoard’s tribute to Steve Jobs. 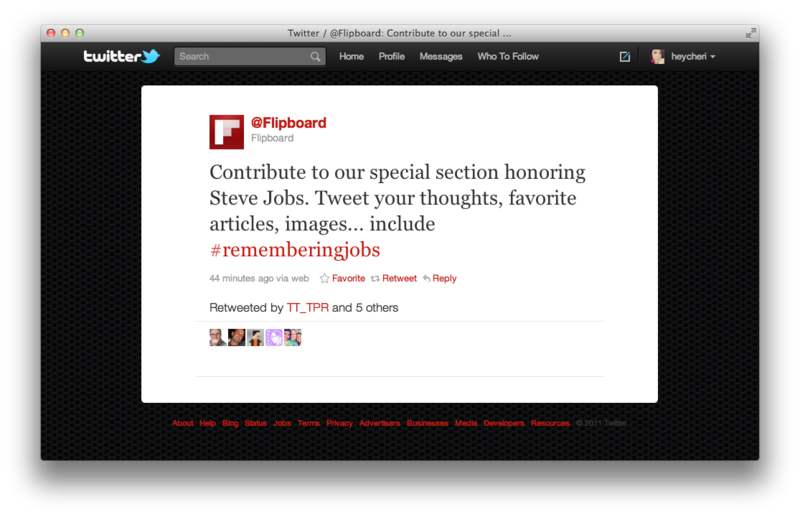 Again, to tribute, simply tweet out links and commentary hash tagged with #rememberingjobs, and FlipBoard will select the best of the best to add to its Steve Jobs tribute on the app. For a more official way to sound off about the legendary tech innovator, send in an email to rememberingsteve@apple.com with your condolences and thoughts.